The English electro-pop singer released a muscular new track. It’s been a productive 2015 for Shura. In the spring, she released "2 Shy," which channeled the grandeur of ‘80s ballads like Human League’s "Human." She returned this week with "White Light," and her latest tune pulls out all the stops: it’s more than seven minutes long, building around a pile-driving beat and crunchy blurts of synth bass. (Strip away the bells and whistles, and this could be a DJ Mustard beat.) 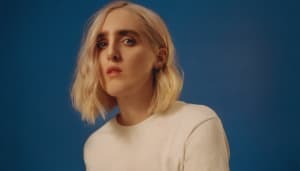 Shura remains impervious to all that rhythmic heft, gliding and swooping easily above the churning instrumentation. Read FADER’s GEN F profile of the singer here.